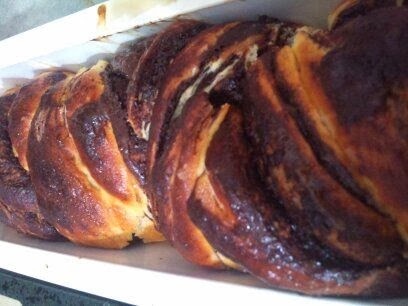 The most fun thing is to bake yeast cakes at rainy cold days, while you're sitting on a sofa, drinking hot chocolate and eating hot soft yeast chocolate cake and looking out the window at the drizzling rain. 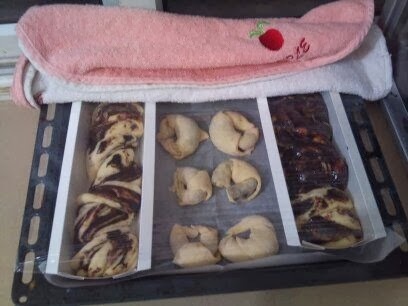 The great advantage of yeast cakes is the durability for a long period. If you made too much of them, u can share it with your relatives or friends. Or, you can freeze it in the freezer and heat in the microwave, that's how I'm saving one more option of eating a delicious desert at any time. Some of us afraid a little bit if messing with yeast. I won't lie and say that, it took some time for me to start baking yeast cakes. When I was little, my mom generally baked this kind of cakes and she always said that we need a lot of patience and special treatment and the baker should be in a good mood, otherwise the dough won't inflate. So, I'm taking yeast to my hands only when I'm in a good mood.